Pecos, NM: Pecos National Historical Park has been awarded funding to rehabilitate the historic Kozlowski’s Trading Post along Highway 63 in Pecos, NM. The project, which begins in late February 2019, will transform the building into a visitor contact station, museum, and employee office space. Weil Construction from Albuquerque, NM, is the General Contractor and is teamed with Avanyu General Contracting of Española and Pat Taylor Historic Preservation of Mesilla, NM, for the rehabilitation phase of the project. No tax dollars will be used for this project, instead receipts from visitor entrance fees from parks around the country will fund the rehabilitation of this building. The Trading Post has a storied past. A Polish immigrant named Martin Kozlowski originally constructed the Trading Post along the Santa Fe Trail in 1858. It served as one of the last stage stops before trail-weary travelers arrived in Santa Fe after months on the dusty trail. During the Civil War Battle of Glorieta Pass, this building served as a Union hospital. In 1925, rodeo-promoter and entrepreneur Tex Austin purchased the building and turned it into ranch headquarters for his famous Forked Lightning Ranch. In the 1940s, E.E. “Buddy” Fogelson bought the ranch and then brought his Hollywood actress wife, Oscar-winning Greer Garson, to the Forked Lightning Ranch. Together, they worked the land as a hobby ranch and entertained many Hollywood guests. In 1990, the National Park Service acquired the ranch and Trading Post and used it as office space, until 2006, when the building was deemed unfit for occupancy. For more information about the park in general, contact Pecos NHP at (505) 757-7241 or visit our website at www.nps.gov/peco. 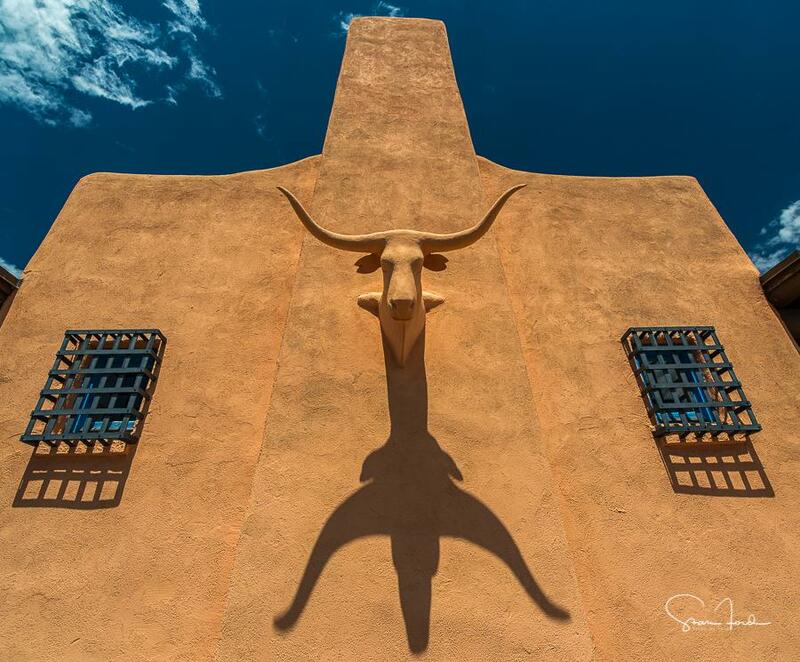 You will also find our listings on the New Mexico True website ( newmexico.org) and Tourism Santa Fe ( santafe.org). Please like on us on Facebook at https://www.facebook.com/PecosNHPnpsor Instagram ( https://www.instagram.com/pecos_nps). Pecos, NM: – Join park volunteer and career geologist Laura Reich for monthly geology walks at Pecos National Historical Park this spring. This one mile roundtrip walk along the main trail will introduce the landforms, geological concepts, and rocks that influenced why people settled or traveled through the Upper Pecos River Valley. These free programs will take place on the following Sundays from 1:00 p.m. – 2:15 p.m.: February 17, March 10, and April 28. Visitors are advised to dress appropriately for the weather, bring water, and apply sunscreen in advance. For more information contact Pecos NHP at (505) 757-7241. You will also find our listings on the New Mexico True website (newmexico.org) and Tourism Santa Fe (santafe.org). Please like us on Facebook at https://www.facebook.com/PecosNHPnps or Instagram ( https://www.instagram.com/pecos_nps). Pecos, NM: Beginning February 7th, 2019, Pecos National Historical Park will offer spring fishing permits for the Pecos River within the park boundaries. The 2019 spring fishing season will begin March 7th and end April 15th. For the 2019 spring fishing season, Pecos National Historical Park will be using an online reservation system. Reservations can be made up to 30 days in advance via www.recreation.gov or by calling 1-877-444-6777. A $15 per day fee must be paid online during the online reservation process. Please note that anglers are still required to check in and acquire a special use permit at the park visitor center prior to fishing. For more information related to fishing, visit the park website https://www.nps.gov/peco/planyourvisit/fishing.htm.